Velux fixed (non-opening) skylights are a cost effective way of creating light-filled rooms where adequate ventilation already exists. 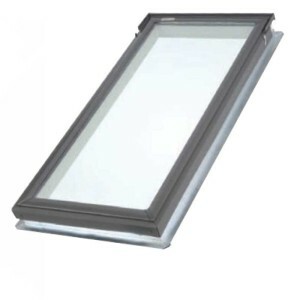 Suitable for installation into a metal roof or tiled roof, the Velux fixed skylight comes with the usual high quality finish you expect from Velux such as white painted interior wood frame and sash and outer aluminium cappings in grey. Velux does offer a standard flashing kit for tiled and metal roofs however, as Roofrite are licensed roof plumbers should you be wanting to install a fixed skylight into a metal roof we can offer you custom made Colorbond cappings for a seamless color matched finish into your Colorbond roof. This option means you will not only have the standard Velux 10 year product warranty on the insulated glass seal but we can provide a six year industry backed workmanship warranty for the installation too. A pitch of between 15 and 90 degrees is recommended for the installation of a Velux FS skylight., however, if your roofline doesn’t meet the minimum recommended 15 degrees, Roofrite can build up the frame and surrounding flashings to suitably accommodate the skylight. 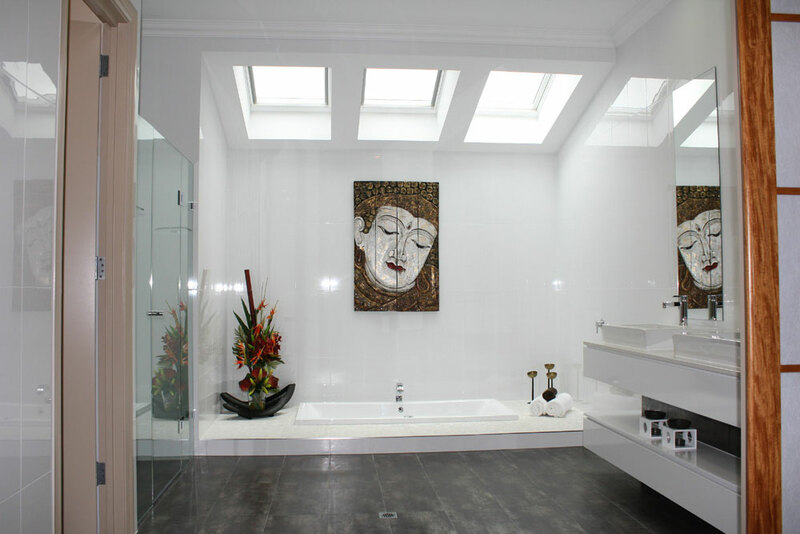 As the range comes in 9 sizes, there is a fixed skylight suitable for almost any situation. While the fixed range comes in a choice of high performance double glazing or comfort double glazing in most sizes with around 80% heat block as standard, you can also separately purchase a blockout or venetian blind. With a range of options such as manually operated, solar powered or electrically operated. The blinds can be retrofitted if you decide to see how the skylight performs without one first.